One of the more popular sessions in recent years at the annual ION GNSS+ technical meeting is the panel discussion on a variety of satellite-based navigation systems, and it appears as if Chinese officials will have plenty of updates on its BeiDou navigation and positioning system to share. China has launched 11 BeiDou satellites so far in 2018, contributing to an aggressive launch cadence, and Ran Chengqi, China Satellite Navigation Office (CSNO) director, stated in published reports that seven more would follow before the end of November. The next launch is currently understood to be taking place later this month from the Xichang Satellite Launch Centre in the southwestern province of Sichuan. That, and two further similar launches, aim to place pairs of BeiDou-3 (third phase for global coverage) satellites into medium Earth orbits (MEO). A further satellite will be sent to a geosynchronous orbit. 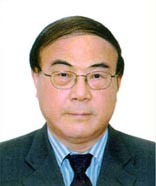 Dr. Jun Shen, Deputy Director, International Cooperation Center, CSNO, China, will provide a system overview, summarize current or planned characteristics and performance, report recent programmatic events, update schedule and plans, and summarize ongoing interactions with other service providers at the ION GNSS+ Session B1: PANEL: Status of GPS, Galileo, BDS, and QZSS on Wednesday,September 26, in Miami, Florida. The completed BeiDou system will have 27 satellites in MEO at about 22,000 kilometers altitude, five in geostationary orbit and three more in inclined geosynchronous orbits, at 35,786 kilometers, providing global GNSS coverage with a positioning accuracy of 2.5 meters. The latest launch took place at the end of August and saw the 35th and 36th BeiDou satellites enter orbit, following the launch of the first in 2000. With another seven satellites added this year, the CNSO reports that China aims to complete the 35-satellite network in the first half of 2020. GNSS provide civilian applications such as navigation for shipping and road traffic, mapping and surveying, but also assist military forces from space, facilitating targeting, positioning and locating, and the synchronizing of operations. The development of BeiDou will end previous Chinese military reliance on GPS. The Xinhua News Agency recently reported that the industry associated with China’s BeiDou navigation system has grown more than 20 percent year-on-year since 2009, and is expected to reach 400 billion yuan ($58.5 billion) by 2020. BeiDou-3 medium earth orbit satellites are developed by either the Innovation Academy for Microsatellites of the Chinese Academy of Sciences (CAS) or the China Academy of Space Technology (CAST), a spacecraft designer and maker under the main contractor for the Chinese space program, the China Aerospace Science and Technology Corporation (CASC). CALT, another CASC institute, is responsible for the Long March 3A, 3B and 3C launch vehicles used for BeiDou launches. The Long March 3B stands almost 55 meters high, with a diameter of 3.35 meters on the core stage. The launcher has a mass at liftoff of 458,970 kilograms, or just over 1 million pounds.